New Zealand's Prime Minister Jacinda Ardern had some choice words for fellow heads of state who aren't pulling their weight in the fight against catastrophic climate change. 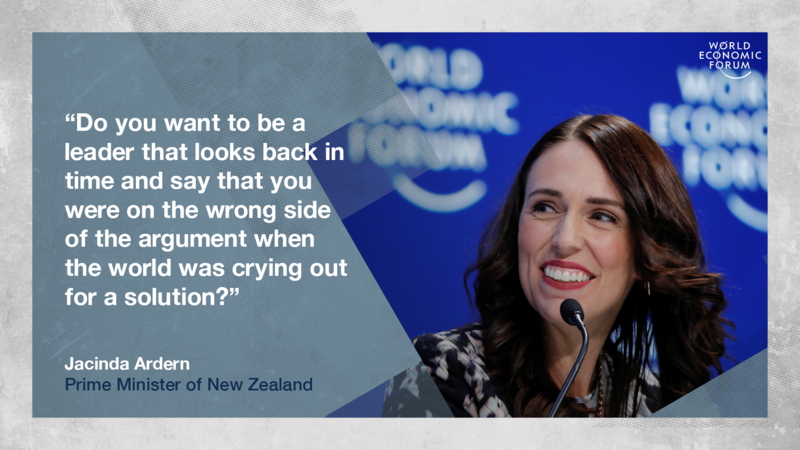 Speaking in the session Safeguarding Our Planet alongside broadcaster and naturalist Sir David Attenborough, Ardern was asked by former US Vice-President Al Gore what she would say to world leaders who don't believe the climate crisis is real. "I wonder whether or not I would say anything or if I would just show them something," she said. "It only takes a trip to the Pacific to see that climate change isn't a hypothetical, and you don't have to know anything about the science ... to have someone from the Pacific island nations take you to a place they used to play as a child on the coast and show you where they used to stand and where the water now rises." "You don't have to cede power by acting on climate change," she continued. "There's nothing to fear about your individual status ... This is about being on the right side of history. Do you want to be a leader that looks back in time and say that you were on the wrong side of the argument when the world was crying out for a solution? It's as simple as that." When asked the same question, Sir David Attenborough said: "Think of your children and your children's children and what we are doing to the planet at the moment. Could you look them in the eye and say, 'I knew what could be done to stop the degradation of the planet ... and I failed to do it, and you must face the consequences'." Ardern also talked about her government's plans to move away from traditional methods of measuring economic growth and development towards a "wellbeing budget" that considers both the health of New Zealanders and the natural world. "What greater threat is there to our wellbeing than the current threat of climate change?" she said. "GDP may say your country is thriving, but it's not thriving if it's also degrading the environment and contributing to CO2 emissions." "This year, for the first time," said Ardern, "we will be undertaking a wellbeing budget, where we're embedding that notion of making decisions that aren't just about growth for growth's sake, but how are our people faring? How is their overall wellbeing and their mental health ... how is our environment doing? These are the measures that will give us a true measure of our success."